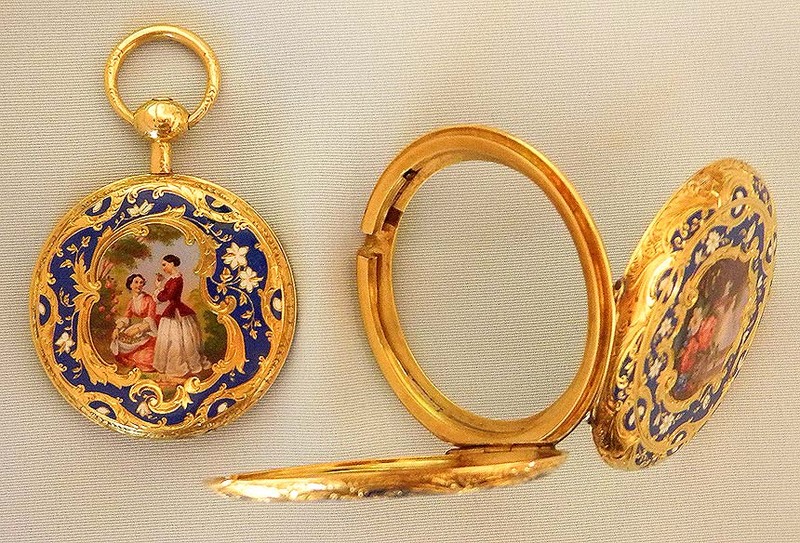 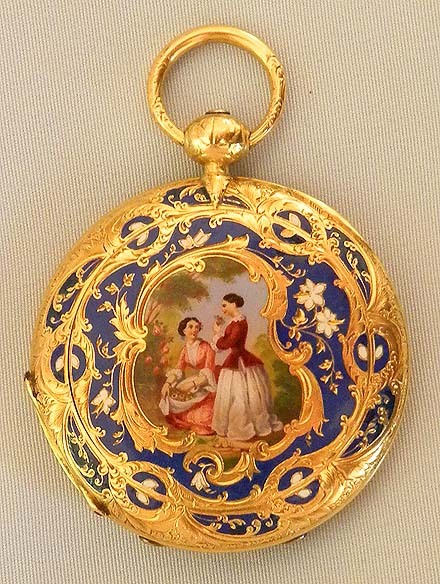 Fine and rare Swiss 18K gold and enamel convertible (open or closed case) ladies antique keywind pendant watch by Gucdin, Geneva, circa 1860. 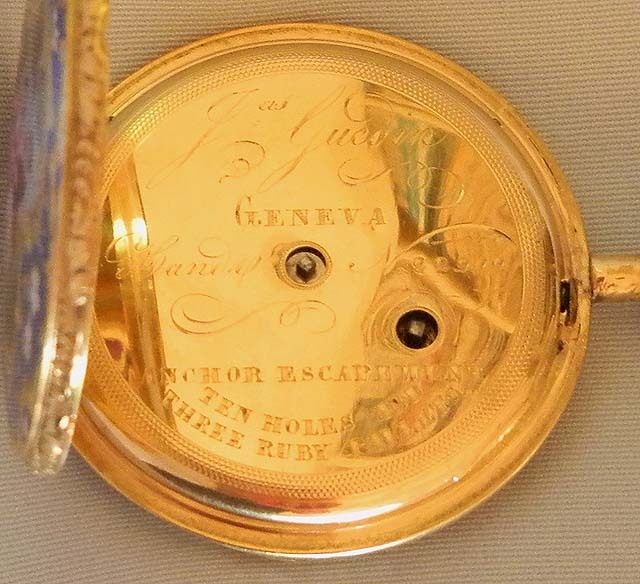 Very heavy case with overall chased and engraved decorations. 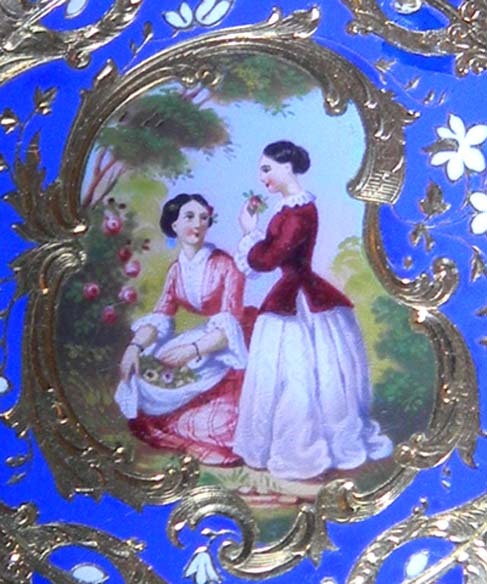 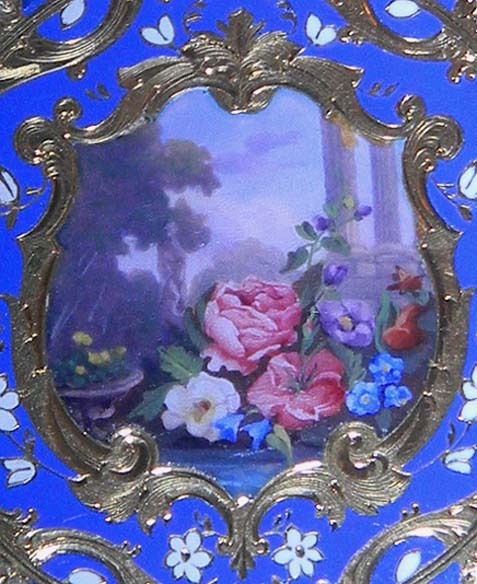 One cover with two maidens gathering flowers, the other with flowers in an architectural landscape. 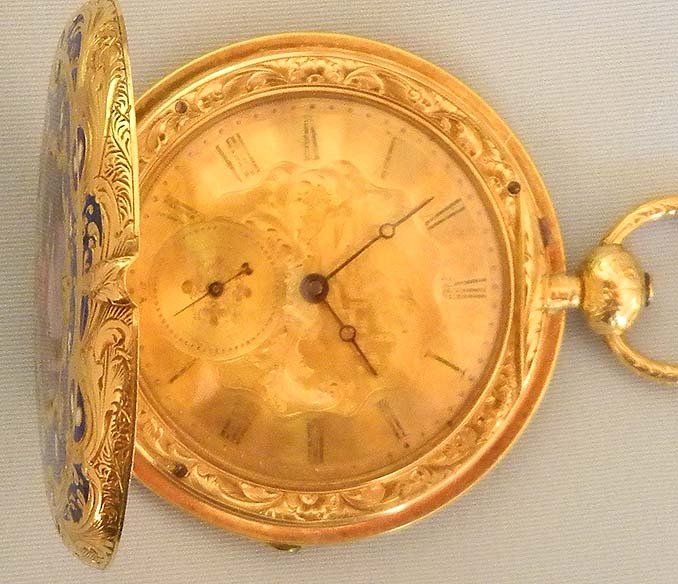 Small restorations and numerous surface scratches. 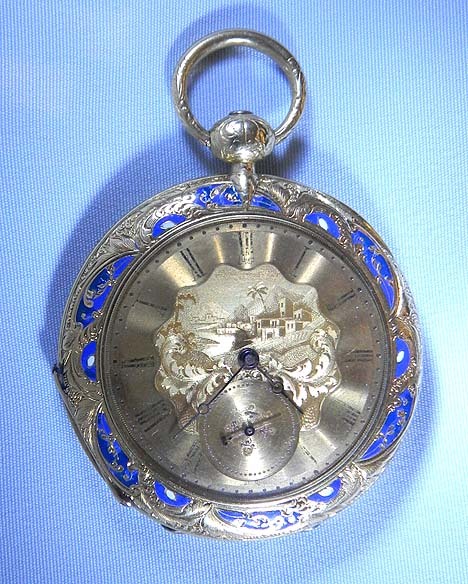 Gold dial with faded numerals, engraved seaside scene, and blued steel hands. 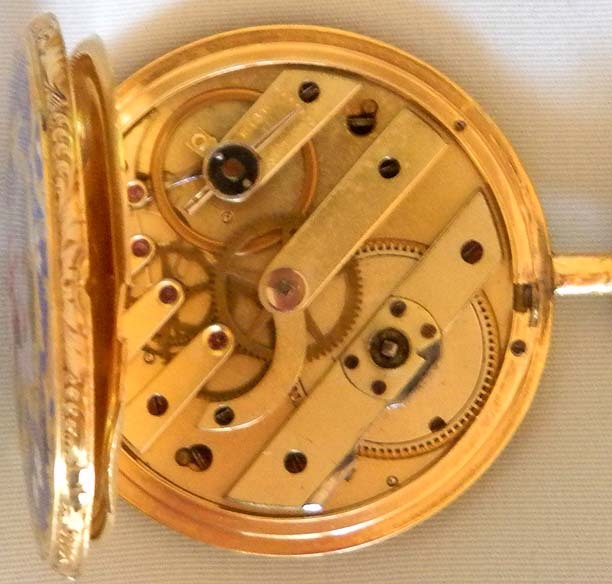 Gilt 13 jewel lever movement. 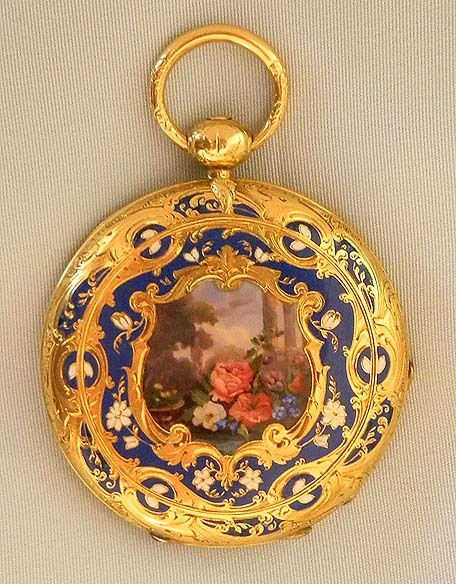 This is perhaps the nicest example of this type of watch we have seen.